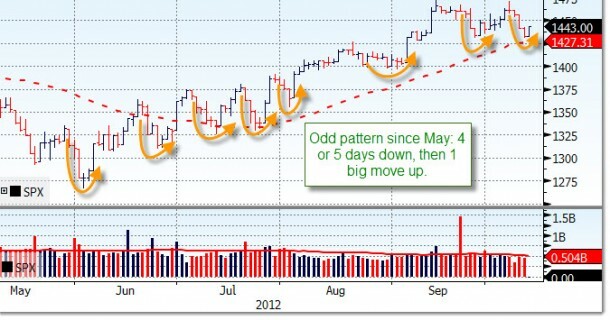 Is it Just Me – S&P Odd Pattern? Does anyone else notice this odd pattern that has been occurring since May? I see 4 or 5 days down and then 1 WHOOSH day up.